Welcome to another installment of our troubleshooting series where we aim to help our readers fix the issues that they are experiencing with their #Samsung #Galaxy #Note5 device. 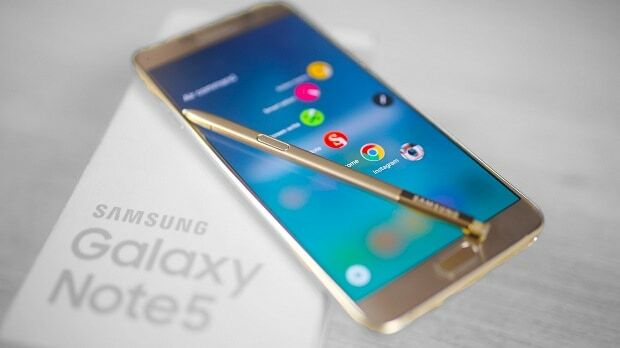 Today we will be concentrating on the Galaxy Note 5 keeps on getting software update issue & other related problems. While it is a good idea for a phone to get software updates this becomes a problem if it keeps getting it constantly. We will take a look at this particular issue as well as other software related problems that have been sent our way by our readers. Solution: What you should do whenever your phone gets continuous software updates is to check the version of each update. If the new update is different from the one that you have on your device then this is a legitimate update that you should get. However, if the software version is just the same then this could be caused by some form of software glitch. The best way to fix this problem is to backup your phone data then do a factory reset. Problem: Two days ago the phone just started restarting and it would restart normally but only for about a minute. ten it would freeze and reboot again. Sprint gave me a next day appointment time, so rather than wait, I decided to factory reset the phone. The reset (which was done through the Power+Volume Up+Home button) said it was successful, and It came back to the “reboot now” menu, and froze, then it rebooted and now it starts up shows the installing update screen then I get the Sick Android guy, and it drops me back at the reset menu (same one I did factory reset from). It still freezes and reboots within minute even on that menu. If I run most memu options (delete app cache, factory reset, reboot…) from that menu it stops on verifying DM-Verity hash tree” . Solution: If the problem still occurs even after a factory reset then the phone software might be corrupt. You should consider flashing your phone with its updated firmware file. You can download the updated firmware file for your phone from the Sammobile website. Instructions on how to flash your phone are also available in that website. If flashing the phone software fails then this could already be a hardware related problem. You will need to bring your phone to a service center and have it checked if this is the case. Problem: I recently had a software update. After finishing the update, my Bluetooth no longer stays on. I use a fitbit and have my phone linked to my car and currently I am no longer able to use these things. Very frustrated!!! Related Problem: The past weekend my phone had a software update. 6.01; after this i cannot connect my bluetooth devices at all. Several attempts scanning for my devices and cannot find them. How do I fix this. Thank you. Solution: If this issue occured right after a software update then it could be caused by some old software data that has not been completely removed from the phone. This old data is now causing a conflict with the new software version resulting in this issue. What you should do to fix this is to backup your phone data then do a factory reset. If the Bluetooth still does not stay on after the reset then this could already be a hardware related problem. You will have to bring your phone to a service center and have it checked. Problem: Hello I recently found a sprint galaxy note 5 and I tried to hard factory data reset but when I do it won’t show where it had to say delete all data and it’s stuck on a page that says I need the email this device was synced or set up with. Solution: This is the factory reset protection feature of the phone. In order to use this phone you will need to enter the Google account that was previously used with this device. If you would like to bypass this protection feature then you should search for the various methods that are available over at Google. Solution: In order for your phone to get the official software updates it must meet certain condition first which we have listed below. Your phone must not be rooted. Your phone must not be running on a custom software. If this is an unlocked phone then it should be running on its original network in order for it to be able to access the update servers. Since this is an unlocked phone and Smart Switch does not update your phone then your other option is to manually flash the updated firmware file to your device. You can download the updated firmware file for your phone from the Sammobile website. Instructions on how to flash your phone are also available in that website. Today is 2/9/18. I am on hold with Verizon after being told to factory reset my phone as the only fix for the recurring system update. I had read online about this issue and have been wanting to factory reset my phone to give it a refresh after 2 1/2 years. I did so. Didn’t help. Verizon could offer nothing more than do a factory reset. I am now on hold with Samsung; well, not actually on hold. After you call them, they send you a text where you chat with support. No help. Just told me to bring it to a store. They are all clueless. I just bought a what appeared to be a new Note 5, everyday it’s telling me it needs to update. I agree to the update. It updates then restarts and yet again it ask to update. The phone also seems to get hot whole performing update. How do I stop this from constantly updating? why my note 5 software update always failed??? I also have the same phone as you, Shawn. I simply tell my phone that I will update the software at a given time, and when the time arises, I just keep postponing. I have not installed any of the new software because I hear it’s nothing but problems. I’m going to keep avoiding downloading the new software until I hear or read that Samsung is addressing all the problems and fixes it. I like my phone the way it is now, and see no reason to change it. Good luck! I have a note 5 (N920V) and I’m trying to prevent the update to 7.0. 7.0 blocks a few crucial apps (FoxFi mainly) but it appears there aren’t any ways to avoid the software update. I’ve looked to see if I can root the phone but Verizon apparently blocked the ability to root and I’ve checked the developer options and haven’t found anything there. I know this is just a wasted speech but I bought my phone outright just like I bought a laptop. No one can install software on my computer without my approval and I feel like my phone should be the same way. Did I sign a contract that I’m not aware of giving them the right to force me to accept this update?